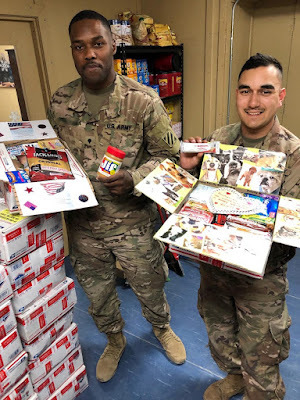 Care Packages for Soldiers: Pictures From the Troops! 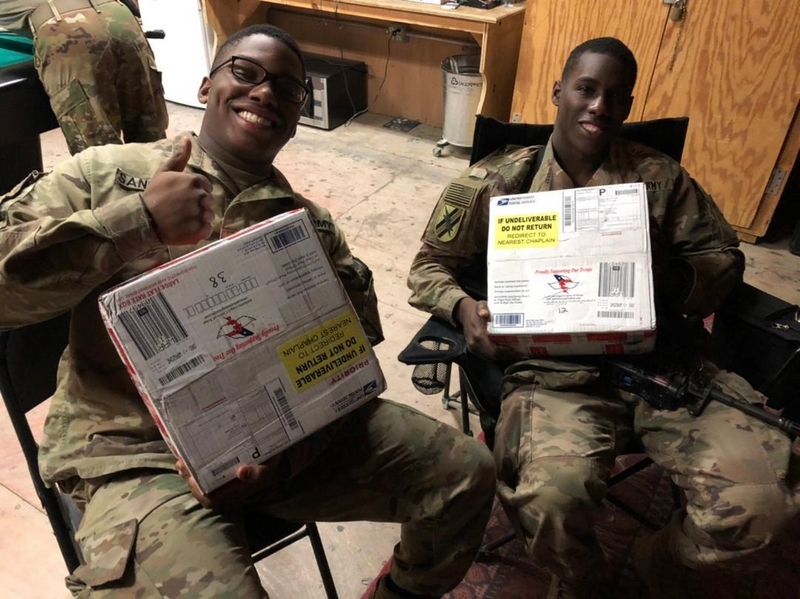 Here are some pictures from one of the units that were recipients of the care packages we mailed last month. 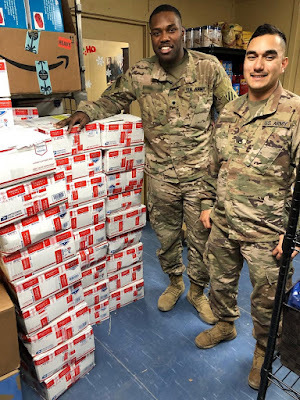 The boxes were packed with toiletries, snacks, microwavable meals and thank you notes. Plus, the theme for the event was Valentines, so the boxes also contained Valentine decorations and other goodies. These two soldiers are happy to receive the care packages. thank you notes plus Valentine goodies.